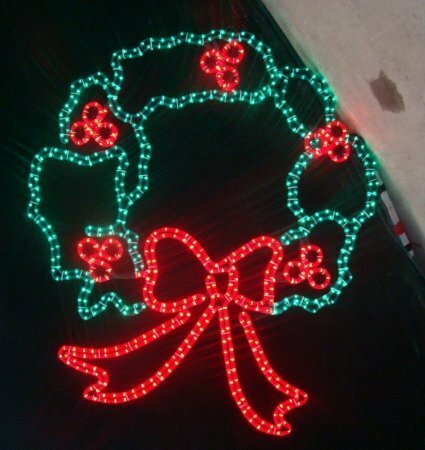 This large Christmas wreath stands 44" tall with a metal wire frame. It is lit with red & green LEDs. The wreath design makes it perfect in any Christmas decoration or winter-themed display. UL listed for indoor/outdoor use.